The safety factor against micropitting can be improved through micro geometry optimization by using profile modifications. The first edition of the international calculation method for micropitting, ISO TR 15144-1:2010, was just published last December. It is the first official international calculation method to check for the risk of micropitting ever published. Years ago, AGMA published a method for the calculation of the specific oil film thickness containing some comments about micropitting, and the German FVA published a calculation method based on intensive research results. The FVA and the AGMA are close to the ISO TR. However the calculation of the micropitting safety factors is new. 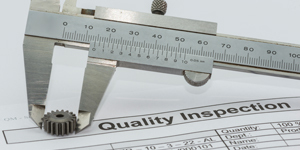 An ISO TR is a Technical Report, which normally after three years will become an international Standard. 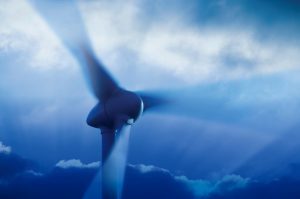 During the last years, micropitting has become a very important topic in gearbox design, specifically for wind turbines. Therefore, even before the official publication, the evaluation of the risk of micropitting based on ISO 15144 is requested by some authorities such as the Germanische Lloyd, for example. In this paper the ISO TR 15144 will be explained briefly. The technical report presents two calculation rules, method A and B. Method A needs as input the Hertzian pressure on every point of the tooth flank. This is based on an accurate calculation of the meshing of the gear pair considering tooth and shaft deflections to get the load distribution over the flank line in every meshing position. Such a calculation is time consuming when using an FEM tool. Alternatively specific analytical programs, which are commercially available (such as LDP, RIKOR, KISSsoft), may be used. In either case, the use of Method A without such an advanced tool is impossible. Method B is much simpler; the load distribution is defined for different cases as spur or helical gears, with and without profile modifications. Method B can be programmed as standalone software and may even be used in Excel. 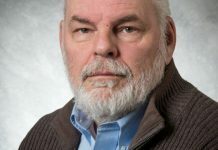 However, a restriction, which arose in the last meeting of the ISO working group responsible for this topic limits considerably the application of method B: If gears with profile modification have to be verified, the tip relief Ca must correspond exactly to a proposed value Ceff. If not, the method for gears without any profile modifications has to be used. 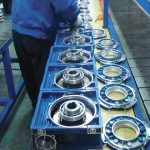 As modern gear design implies profile modifications of different kinds, this is a critical limitation for the application of method B in ISO TR 15144. The risk of micropitting is highly influenced by profile and flank line modifications. 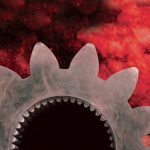 A new software tool can evaluate the risk of micropitting for gears by automatically varying different combinations of tip reliefs, other profile modifications, and flank line modifications, in combination with different torque levels, using method A. 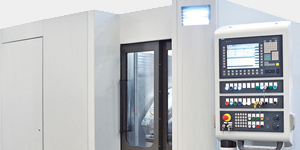 The user can define the number of steps for variation of the amount of modification (for example tip relief Ca from 30 to 70 mm in 4 steps, crowning value Ca form 10 to 40 mm). Then all possible combinations Ca =30 (with Cb =10,20,30,40), Ca =40 (…), etc are checked combined with different user defined torque levels. Any modifications including flank twist and arc-like profile modifications can be combined. The result is presented in a table, showing the safety factor against micropitting for different subsets of profile/flank modifications, depending on the torque level. Additionally Peak-to-Peak-Transmission-Error, maximum Hertzian stress and wear is documented. This is a tool to show the possibilities to reduce the micropitting risk with profile modifications and is very helpful for designing an optimum gear modification for varying torque levels. Three different gear sets with micropitting problems, example “D” (spur gear, module 10.93 mm, Z 18:18), example “U”( helical gear b=19.578°, module 4.5 mm, Z 33:34) and example “F” (helical gear b=9°, module 30 mm, Z 19:76) will be discussed. Micropitting is well explained in ISO TR 15144 . “Micropitting is a phenomenon that occurs in Hertzian type of rolling and sliding contact that operates in elastohydrodynamic or boundary lubrication regimes. Micropitting is influenced by operating conditions such as load, speed, sliding, temperature, surface topography, specific lubricant film thickness and chemical composition of the lubricant. Micropitting is more commonly observed on materials with a high surface hardness. Micropitting is the generation of numerous surface cracks. The cracks grow at a shallow angle to the surface forming micropits. The micropits are small relative to the size of the contact zone, typically of the order 10 – 20 μm deep. The micropits can coalesce to produce a continuous fractured surface, which appears as a dull, matte surface during unmagnified visual inspection. Classic pitting (also called macropitting) is a completely different phenomenon. In this case the cracks start in a certain depth under the surface, where shear stress due to Hertzian pressure is highest. This effect is well explained in the ISO 6336-2 standard. 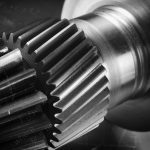 The Technical Report ISO 15144-1 provides principles for the calculation of the micropitting load capacity of cylindrical involute spur and helical gears with external teeth. 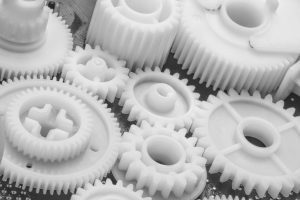 The basis for the calculation of the micropitting load capacity of a gear set is the model of the minimum operating specific lubricant film thickness in the contact zone, λGF,min. For the calculation of the risk of micropitting, a safety factor Sλ is defined as ratio between λGF,min and the permissible specific film thickness λGFP. The ISO TR 15144, part 1, was published in December 2010. Part 1 contains the basic calculation method. 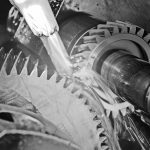 The ISO committee responsible for this topic is currently working on part 2, which will contain some examples of gear sets having micropitting. Part 2 will be very helpful to understand better the application of the calculation rules as described in part 1. The Technical Report presents two calculation rules, method A and B. The Technical Report stipulates, that for method A experimental investigations or service experience relating to micropitting on real gears are used. This is not very practical when designing new gears. As it will be shown in part 2 of the Technical Report, a more practical approach when using method A, is to first calculate the load distribution over the flank line in every meshing position. Than the Hertzian pressure on every point of the tooth flank, based on an accurate calculation of the meshing of the gear pair, considering tooth and shaft deflections. This is a most complicated contact analysis problem, which could be solved using a FEM tool. However such a calculation is very time consuming when using a FEA tool. Alternatively, specific commercially available analytical programs may be used. Once the local Hertzian pressure and the sliding velocity are determined, the local specific lubricant film thickness λGF is calculated using the formulas of the Technical Report. 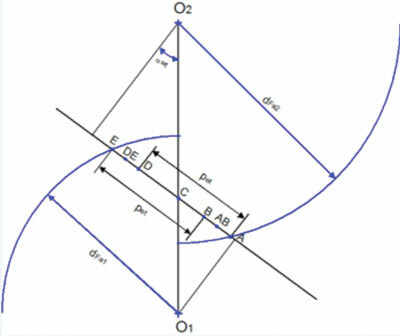 The use of method B is much simpler; the Hertzian pressure is defined by formulas for such cases as spur or helical gears, with and without profile modifications. 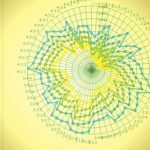 The formulas for the calculation of the local pressure and velocities are based on an unmodified involute tooth form. The calculation is performed for some of the critical points in the tooth meshing cycle, which are points A, AB, B, C, D, DE and E (Figure 2) [1, 3]. In these points, the specific lubricant film thickness λGF is then calculated. Research on micropitting is relatively new, therefore the Technical Report states, “there are many influence parameters, such as surface topology, contact stress level, and lubricant chemistry. 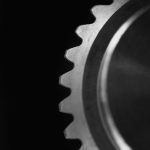 Whilst these parameters are known to effect the performance of micropitting for a gear set it must be stated that the subject area remains a topic of research and as such the science has not yet developed to allow these specific parameters to be directly included in the calculation methods. Also the correct application of tip and root relief (involute modification) has been found to greatly influence micropitting therefore application of the suitable values should be applied. The determination of the permissible Specific Film Thickness, λGFP, is the most difficult part to understand when using the Technical Report. There is a simple, but inaccurate, way to get this value using a diagram , where – for mineral oils – the permissible specific film thickness λGFP as a function of the viscosity of the lubricant n and the load capacity number SKS of the lubricant (Figure 3) is found. SKS is a property of the lubricant and has to be measured similar to the FZG number against scuffing. 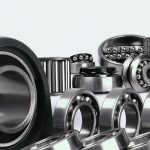 Modern lubricants as used in wind turbine gearboxes typically have a SKS number of SKS=10, but the data needs to be checked with the oil supplier on a case-by-case basis. The SKS number is determined according to the FVA information sheet  and may be found on the lubricant data sheet of the leading suppliers. Note that the above diagram is valid for mineral oils. Synthetic oils will give (for the same viscosity and SKS number) a different, typically lower permissible specific film thickness λGFP. Furthermore, it should be observed that the values given for λGFP are valid for case carburized gears. – Oil temperature according qoil of the actual gear reducer (not the oil temperature used on the FZG test rig!). Note: It is recommended, that the FZG test should be performed with the same oil temperature as used in the gear reducer. 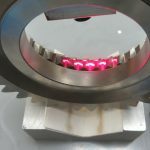 But normally the FZG test is executed with 90°C oil temperature. Therefore data published by oil providers are valid for 90°C (if not otherwise declared). The calculation of the test gear with this input data is done for point A, because the minimum specific lubricant film thickness for the FZG ‘type C’ test gear is always at point A. The resulting specific lubricant film thickness λGF, as per formula (2) of ISO procedure, is the specific lubricant film thickness ascertained by tests λGFT (used in formula 5). Unfortunately, the description of the method to get λGFT is missing in ISO TR 15144, part 1. 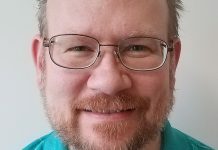 There will be more information in part 2. A problem when using method A, which is more difficult than it may first appear, is the calculation of the Hertzian pressure distribution over the tooth flank. It is well known, that if different FEM tools are used to calculate the tooth contact, differences in the resulting pressure may be 30% and more. This depends on the mesh, the boundary conditions and the solution model. Similar problems are present also when using commercially available software written to resolve specifically the tooth meshing contact. To mention one of the problems encountered: A gear with a linear profile modification in the tip area has a small edge at the point the modification begins (Figure 4). In this point the radius of curvature is theoretically zero, so the Hertzian pressure is infinitively high. In reality, the edge does not exist; because it is rounded during the grinding process, or the edge is reduced after some cycles due to wear. Therefore the pressure is much lower than theoretically assumed. 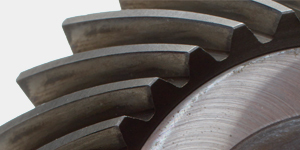 A similar effect is en¬countered on the gear tip area, at the beginning of the chamfer. Very high pressure will result in a low micropitting safety. There is no ‘official’ method available to deal with this problem, so the above mentioned programs provide individual solutions, which then will result in somewhat different pressure values for the same tooth form. Within method B, the local Hertzian pressure is calculated by formulas. This is relatively simple for involute gears with no profile modification. In this case it is easy to get the load distribution over a meshing cycle. For gears with profile modifications, the load distribution is more complex, because depending on the amount of the tip relief Ca (Figure 4), the load in the beginning and the end of the contact is reduced. Method B proposes currently two different methods to get the load distribution, one for non-modified gears and one for gears with optimum tip relief on one/both gears. The question originates, what is an optimum tip relief? This is defined in the Technical Report with the ‘effective tip relief’ Ceff. If the tip relief of the pinion Ca1 is equal to Ceff, then the load distribution for optimal tip relief can be adopted, same for the gear if Ca2 is equal to Ceff. 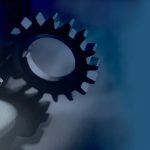 If the gears have a tip relief, which is smaller than Ceff, then the actual version of the Technical Report asks to interpolate between the load distribution with and without profile modification. In the future, this may be changed. 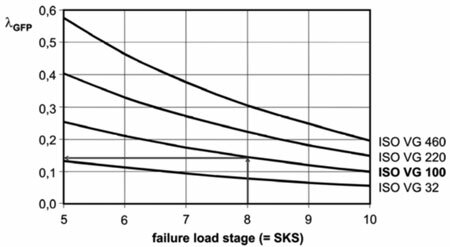 Many experts demand, that load distribution formulas for gears with profile modification can only be applied, if the modification is ‘optimal’. If not, the formulas for non-modified gears have to be adopted. 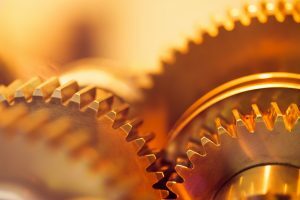 The consequence is, that non-modified gears can be calculated with method B, but modified gears should not be. 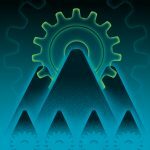 For modified gears, the question is, if the modification is optimal or not. 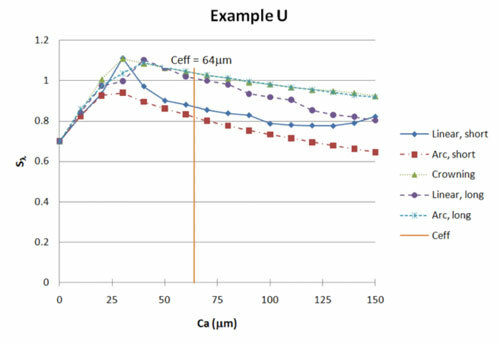 As it will be indicated in clause 6, a study, using method A to find the best micropitting safety factor by varying Ca, shows that the optimum Ca is not at all equivalent with Ceff (Figure 7, Figure 8). 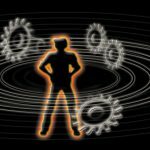 So what is an optimum modification? As profile modifications are considered very important for reducing the risk of micropitting, it is a real problem for an engineer who has no access to a tool using method A, because method B may not give realistic results in such a situation. 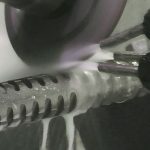 Furthermore, as shown in clause 6, profile crowning or long tip relief (not short tip reliefs as used for method B) gives better results against the micropitting risk. This type of modifications is not covered by method B.
Micropitting is most critical in areas of high pressure and high sliding velocity. Sliding velocity is always highest in the beginning and in the end of the meshing contact. Combined with high pressure in the same areas, the micropitting risk is increased. So an optimization of the macro geometry (as module, tooth number, profile shift) with the aim to reduce the sliding velocities is a good strategy. 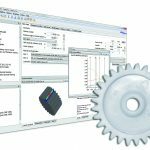 In the calculation software KISSsoft , we developed in 1987 a tool for the optimization of gear pairs and planetary stages  called ‘Fine-Sizing-Routine’. Based on a user-defined range of parameters (module range, helix angle range, etc.) 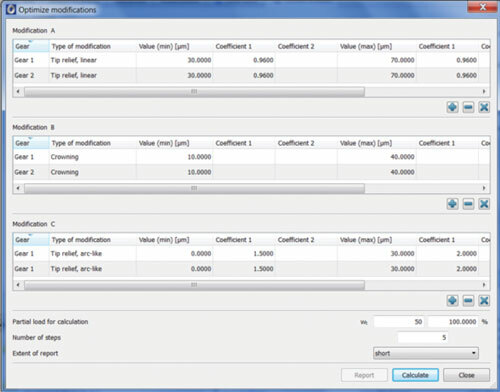 the software presents a large number of possible solutions covering the full parameter space and presents a list of calculated data (geometry, safety factors, characteristics such as sliding, losses, weight, transmission error) also including the micropitting safety factor according to the user’s choice of method B or A. As shown in an example (Figure 5), keeping center distance, face width and helix angle unchanged, reduction ratio variation smaller than 0.5%, just through variation of module (from 4.0 to 5.0 mm) and the profile shift coefficient x1, the safety factor against micropitting can be raised from 0.744 up to 1.302. It should be noted that the best variant has the lowest sliding velocity of all variants. Using method A with contact analysis for every variant is clearly a large calculation task, total calculation time for these 19 variants was about 10 minutes. But note that for doing the same using a FEA tool would require days. It is easily possible to improve the safety factors even more, if a wider range of module and/or pressure and helix angle is used. There are limits in what can be achieved, when module or tooth number should not be changed. In this case, further optimization can be acquired by profile modifications. The risk of micropitting is highly influenced by profile and flank line modifications. 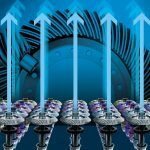 A new extension in KISSsoft  can evaluate the risk of micropitting for gears by automatically varying different combinations of tip reliefs, other profile modifications and flank line modifications, in combination with different torque levels, using method A. The user can define the number of steps for variation of the amount of modification (for example tip relief Ca from 30 to 70 mm in 4 steps, crowning value Cb form 10 to 40 mm, Figure 6). Then all possible combinations Ca=30 (with Cb =10,20,30,40), Ca =40 (…), etc are checked, combined with different (user defined) torque levels. Any modifications including flank twist, arc-like profile modifications, etc. can be combined. The result is presented in a table, showing the safety factor against micropitting (method A) for different subsets of profile/flank modifications, depending on the torque level. Additionally Peak-to-Peak-Transmission-Error, maximum Hertzian stress, wear etc. is documented. This table is very helpful to show the possibilities to reduce the micropitting risk with profile modifications and to find an optimum gear modification for different torque levels. The effect of different variants of profile modifications on the micropitting safety factor is obvious, as Figure 7 and Figure 8 show very well. 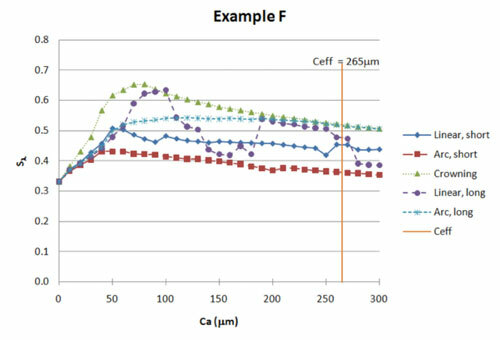 It is interesting to see, that in these examples the highest safety factor Sλ is reached at a tip relief Ca, which is significantly lower than the optimum relief Ceff, as defined by ISO TR 14155. This is another indication that method B (which is based on Ceff for teeth with profile modifications) is of limited accuracy, when using profile modifications. In the case of the spur gear (Figure 9), a surprisingly small effect of the different modifications is found. It is also very interesting, that profile crowning or long (linear or arc-like) profile modifications have normally higher safety factors than short profile modifications. Best results are obtained with profile crowning. AGMA 925-A03  is an enhancement of annex A of ANSI/AGMA 2101. Various effects of gear surface distress are included, such as scuffing and wear, and in addition, micro and macropitting. Both methods use the Blok  equation for the determination of the flash temperature. 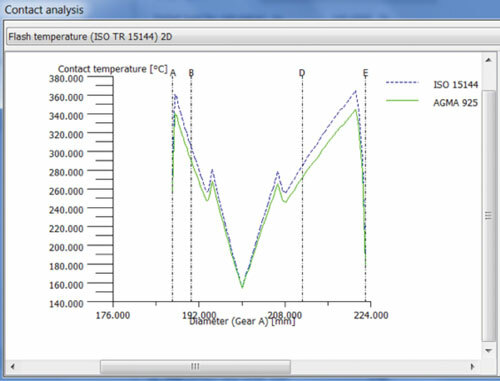 As not all factors used are exactly identical, the flash temperature (increased gear surface temperature in the contact) calculated following AGMA or ISO are slightly different, as Figure 10 shows. 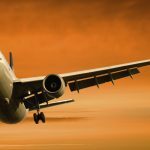 The difference is mostly originated due to a different definition of the mean friction coefficient. 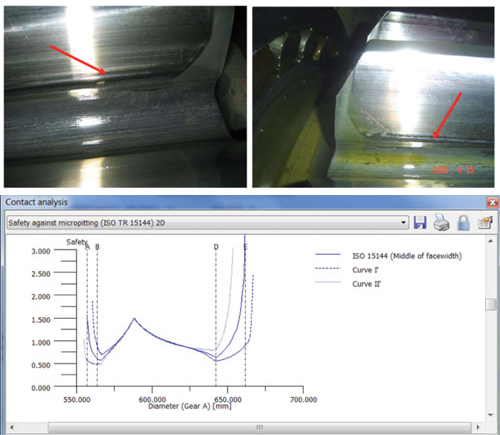 Concerning micropitting, in AGMA 925 the calculation of the lubricant and specific lubricant film thickness is defined, but not a resulting safety factor for micropitting. 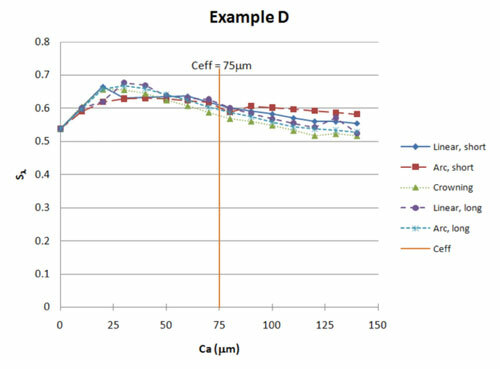 Although the calculation of specific lubricant film thickness does not provide a direct method for assessing micropitting load capacity, it can provide an evaluation criterion when applied as part of a suitable comparative procedure based on known gear performance. The calculation procedure for the local film thickness (hy, see formula 4) in ISO TR 15144 and the line contact central film thickness in AGMA 925 (hc in ) are both based on the same theory developed by D. Dowson [6, 10]. Some factors are slightly different. The main difference in ISO is the local sliding factor S, which takes the flash temperature into account. 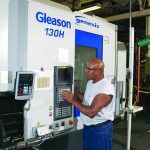 AGMA uses always the mean tooth temperature qM for local lubricant viscosity, where ISO uses the local contact temperature qB. The contact temperature is the sum of the mean tooth temperature plus the flash temperature. Therefore, in the meshing point C (where the flash temperature is zero), there is a smaller difference between AGMA and ISO, but in points with high flash temperature, AGMA calculates a much higher oil film thickness, as shown in Figure 11 . It is known, that the central film thickness is about 32% greater than the minimum film thickness (see also the factor 1.316 in AGMA 925 , which is used to get the risk assessment for wear). When we compared the two methods, we found approximately this difference between the values in ISO and AGMA for the oil film thickness (Figure 11). The first edition of an international standard for micropitting, the ISO TR 15144:2010, is an interesting document, which proposes a method to predict the risk of micropitting. The concept and most important formulas are explained. The method B, which is relatively simple to apply, is of limited use for gears with profile modifications. For such gears, method A has to be used. However method A needs a software tool, able to model the tooth contact to get the local Hertzian pressure distribution, which is a complex task. The safety factor against micropitting can be improved through macro geometry optimization. 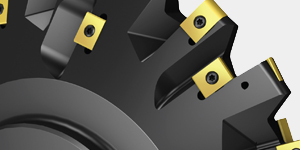 With an example it is shown that without changing the overall dimensions of the gear set, the micropitting safety factor can be improved significantly (by 100% and more). A generally used method to improve the safety against micropitting is to use profile modifications. In some examples the effect of the variation of the tip relief and of the type of modification is shown. To perform this optimization easily, a new software tool was developed, which permits to automatically check many variants automatically. Profile crowning or long (linear or arc-like) profile modifications have normally higher safety factors than short profile modifications. Best results are obtained with profile crowning. 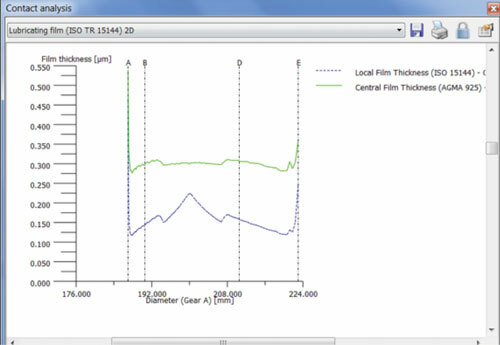 ISO TR 15144-1:2010, Calculation of micropitting load capacity of cylindrical spur and helical Gears, ISO, Geneva. 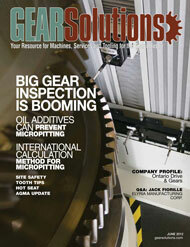 FVA-Information Sheet 54/7: Test procedure for the investigation of the micropitting capacity of gear lubricants. 1993. ISO21771: 2007, Gears — Cylindrical involute gears and gear pairs — Concepts and geometry, ISO, Geneva. 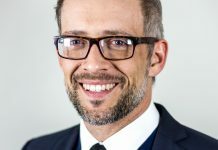  J.Theissen, Berechnung der Sicherheit gegen Graufleckenbildung von Industriegetrieben auf der Grundlage des neuen Rechenverfahrens nach FVA 259, DMK 2003. AGMA 925-A03, Effect of Lubrication on Gear Surface Distress; AGMA, Alexandria, 2003. D. Dowson, G.R. Higginson, Elastohydrodynamic lubrication – The fundamentals of roller and gear lubrication, Pergamon press (London), 1966. S. 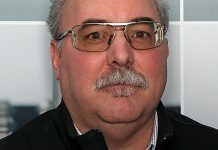 Beermann, KISSsoft Calculates Micropitting for the Wind Energy Sector, Wind Energy System Magazine, Oct 2010. Kissling, U.: Konzept für die effiziente Auslegung und Optimierung von Planetengetrieben nach verschiedenen Kriterien; VDI-Berichte Nr.1460;VDI-Verlag, Düsseldorf, 1999. D. Dowson, S. Toyoda, A central film thickness formula for elastohydrodynamic line contacts, 5th Leeds-Lyon Symposium Proceedings, Paper 11, 1978. Blok, H., Les Températures de Surface dans les Conditions de Graissage sans Pression Extrême, Second World Petroleum Congress, Paris, June, 1937. Printed with permission of the copyright holder, the American Gear Manufacturers Association, 1001 N. Fairfax Street, 5th Floor, Alexandria, Virginia 22314. Statements presented in this paper are those of the Authors and may not represent the position or opinion of the American Gear Manufacturers Association.